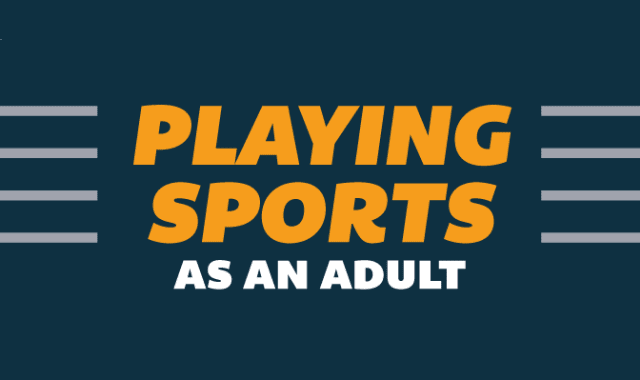 Playing Sports as an Adult #Infographic ~ Visualistan '+g+"
Do you ever find yourself thinking about that sport you gave up back in high school or college? Maybe you went a different route when there wasn't enough time to keep up with the rigorous practice schedule, or you weren't interested in playing at a higher level of competition. No matter what the reason was for leaving the sport behind, it can be difficult to rejoin it as an adult. If you're looking to get back into the game but aren't sure where to start or how to play safely as an adult, here are some ways to get started.